Fig Wasps Can Only Breed Where? What Do The Facts Tell Us? Here is a striking illustration of design in which the insect and the plant depend on each other. The fig wasp is only about 2 millimeters long and lives but a few days. “These fig wasps are the sole pollinators of fig trees and in turn, fig wasps can breed nowhere else but inside figs.” To add to the unlikelihood of figs existing today, note that each of the 750 species of fig wasps specializes in pollinating one species of fig tree! The female emerges from the fig where she hatched, picks up a chemical scent from her type of fig tree, and flies to the flower. Then she must work her way into the entirely closed flower to lay her eggs and pollinate the flower. Otherwise, a fig will not grow. Neither the fig wasp nor the fig tree can survive without the other. 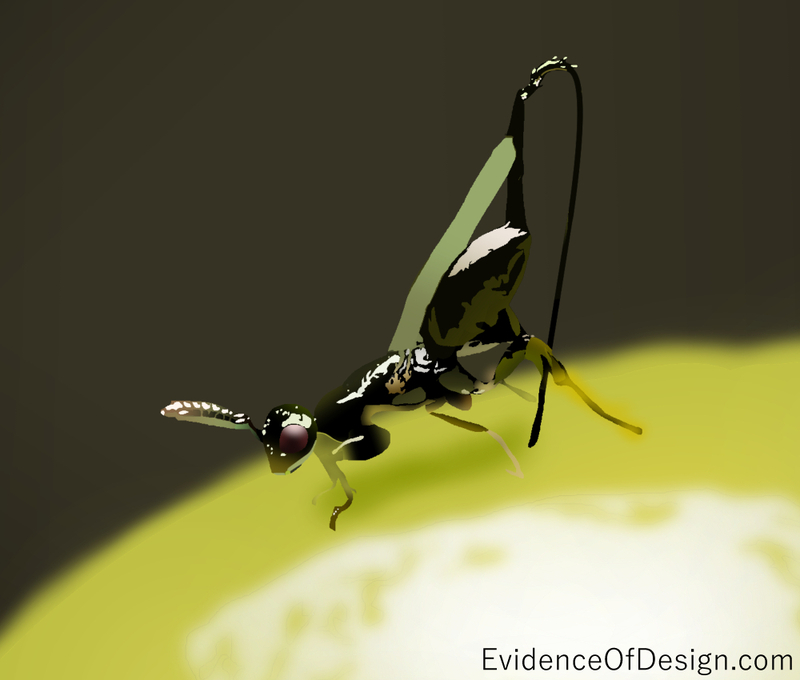 Below is an article about the Fig Wasp from an evolutionary perspective. It states this relationship “has evolved over the last 60 or so million years.” Yet, in the same article, in describing the difficulty she has to get into the flower, it states, “She is, however, remarkably adapted to do so.” It goes on to describe how her flattened body helps her enter and her backward-pointing teeth and her strong legs keep her from slipping back. The very fact that we have an abundance of figs today is proof that she succeeds. Were evolution true, this mutual dependence would have doomed them both as soon as one or the other had developed it. Far easier and more logical it is to accept the Bible’s claim that God made them both in this relationship during the six weeks of creation. Ok, I believe that, but the question I keep getting from evolutionists is, how did they survive the flood. Since most fig trees were probably buried by the flood, how did the fig wasps survive? A quick point. Your photo is of ants, not fig wasps. I thought at first they might be eating a fig wasp, but it looks like it\’s probably an aphid.